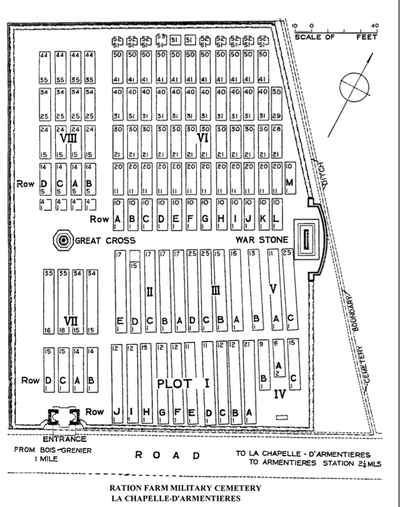 For much of the war, Ration Farm was just over 1 kilometre behind the front line at the end of a communication trench. 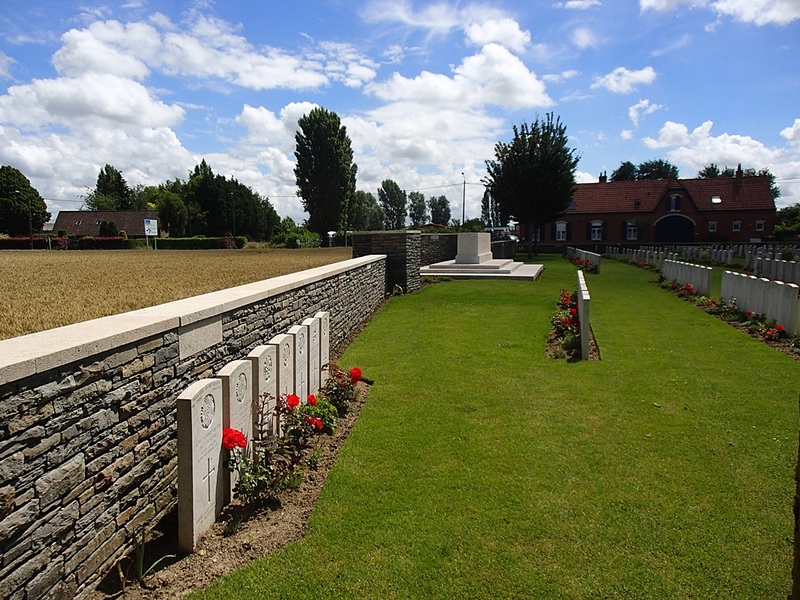 The first cemetery, Ration Farm Old Military Cemetery, was begun in February 1915, close beside the farm buildings. It was used until October 1915 chiefly by units of the 6th Division and at the Armistice it contained 73 graves. 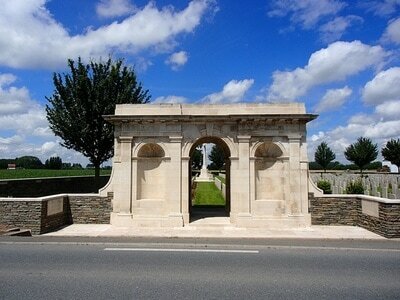 In April 1923, these graves were moved into Plot VI of the present cemetery, at the request of the French authorities. CHAPEL FARM CEMETERY, FLEURBAIX, which was 2 kms West of Bois Grenier. 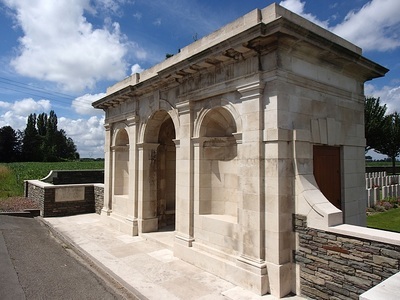 It contained 11 British graves of 1915 and 1916. 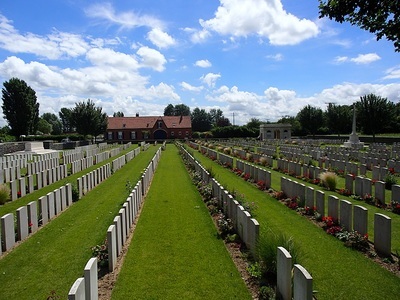 FERME-DU-BIEZ MILITARY CEMETERY, La Chapelle D'Armentieres, which was 2 kms South East of that village. 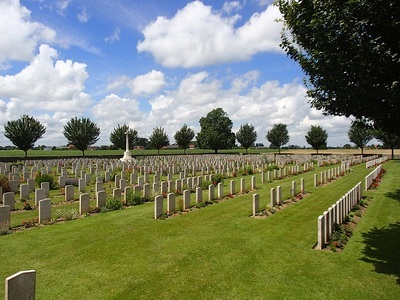 It contained 36 British graves of 1915 and 1918. 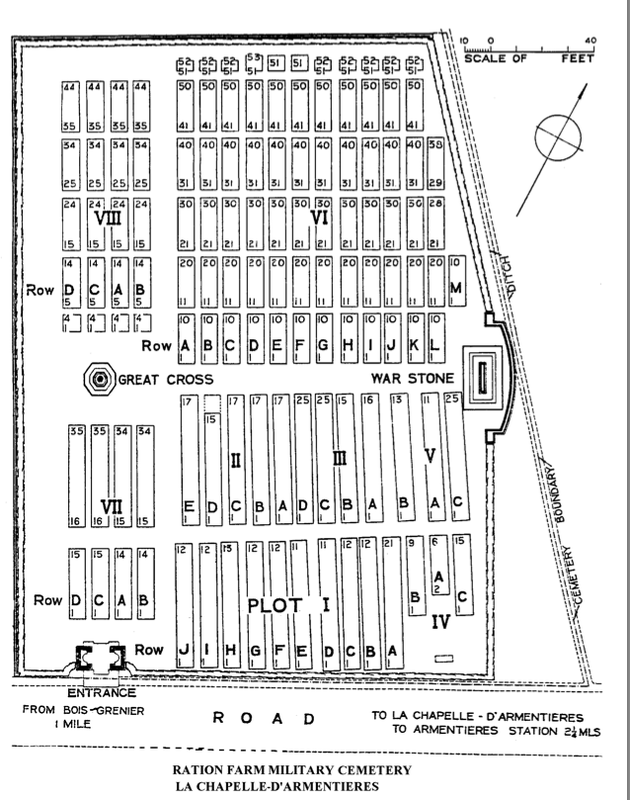 For the most part, Plots I to V contain the original burials. 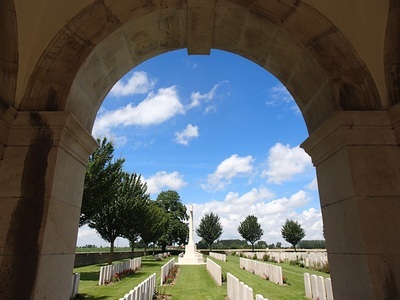 Among the isolated graves brought in were many of Australian soldiers who died in the Attack at Fromelles on 19 July 1916. 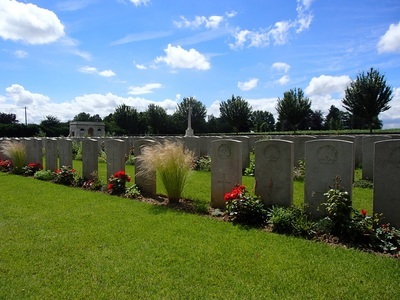 There are now 1,313 Commonwealth servicemen of the First World War buried or commemorated in the cemetery. 677 of the burials are unidentified, but there are special memorials to six casualties know or believed to be buried among them. Casualty Details: UK 1022, Australia 259, New Zealand 32, Germany 4, Total Burials: 1317.